Fusion Acorn drum sticks with a grip-end mallet tip. 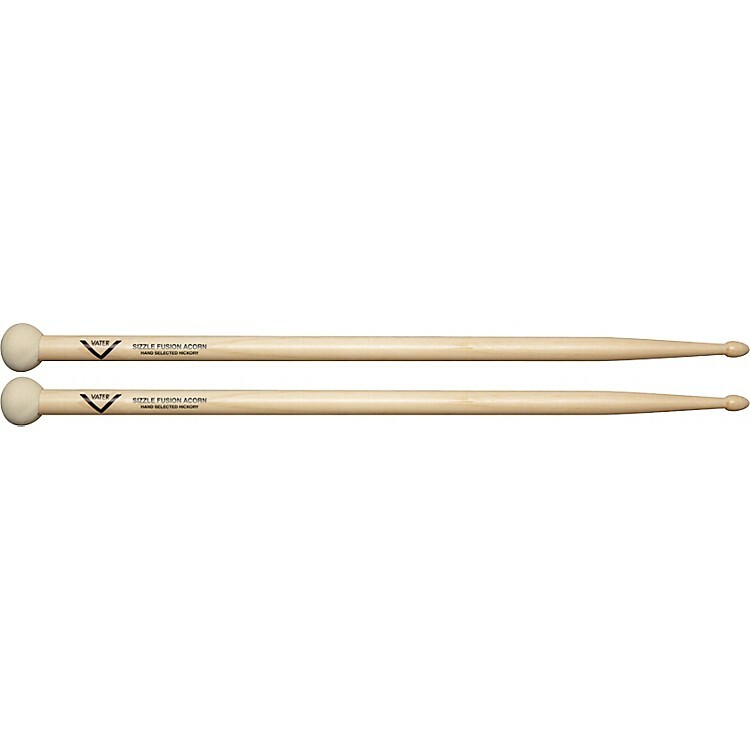 The Vater Fusion Acorn model stick features a hard felt mallet head on the grip end. The smaller mallet head design won't intefere with your grip or playing. At the end of a quick taper is an acorn tip shape for warm and broad cymbal sound.